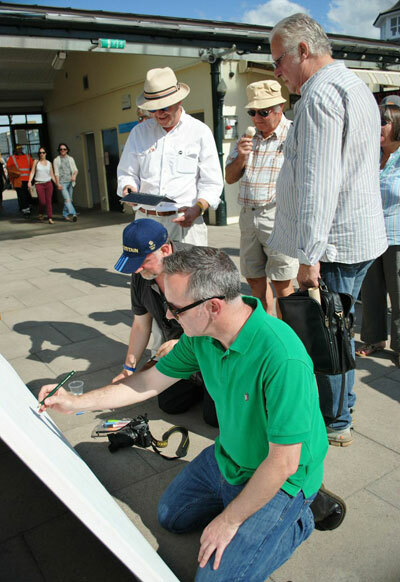 Royston Cartoons: On seaside fun and being "budding"
I'm a bit late getting around to blogging about this but the Beside the Surrealside cartooning event in Herne Bay was a great success in glorious sunshine. Thanks to Kasia Kowalska for the picture above. And here's a report from the Herne Bay Gazette. Click the image to enlarge and read. 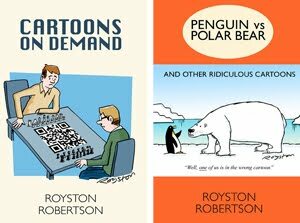 The Guardian mention that is referred to in the piece was a "reader's cartoons" feature they ran via their website. 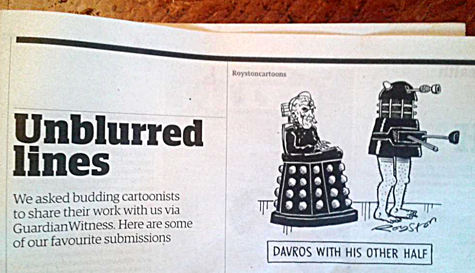 A handful of the submitted cartoons appeared in the Guardian and in an online piece. 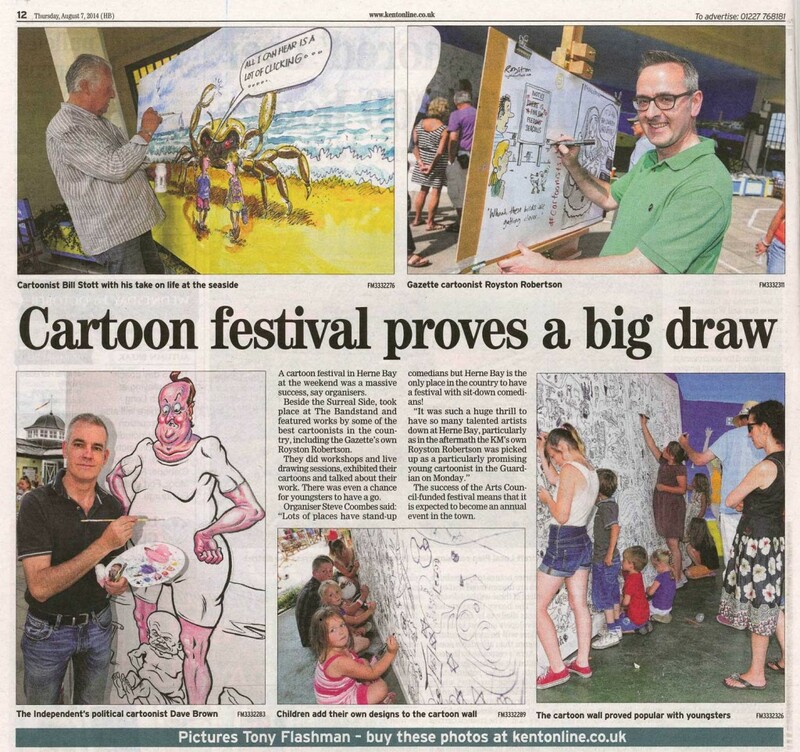 It was really aimed at "budding" and "aspiring" cartoonists, but as I was saying to someone at Herne Bay, you never feel established as a freelance cartoonist anyway, as there's so much rejection involved! And it was nice to see a cartoon turned down by all the magazines get some exposure in print at last.